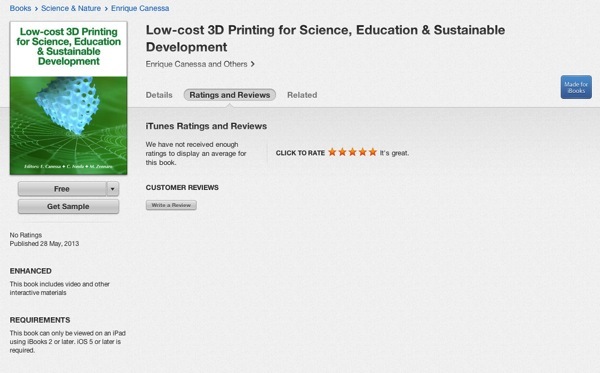 It really took a long time (partially our fault taking our time collecting all the relevant material, partially because of the loong wait for itunes to approve it) but it is now available: you can download the ibook version of our book: Low-cost 3D printing for Science, education and sustainable development. 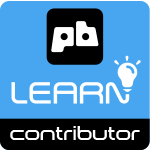 The ibook has all the material already included in the pdf version, but some articles have been updated and we have added some interesting interactive material. All the articles have the direct link to the video of the equivalent lectures, and some authors have kindly provided 3d files and short animations for viewing inside the book. Many more pictures were also added, and we really hope you will find all this material interesting and useful. Download it and let us know! This entry was posted in 3d workshop, 3d-lab, general, story. Bookmark the permalink.